In Wisconsin I started building model cars at age 10, drawing dream cars like GM Motorama cars in high school. 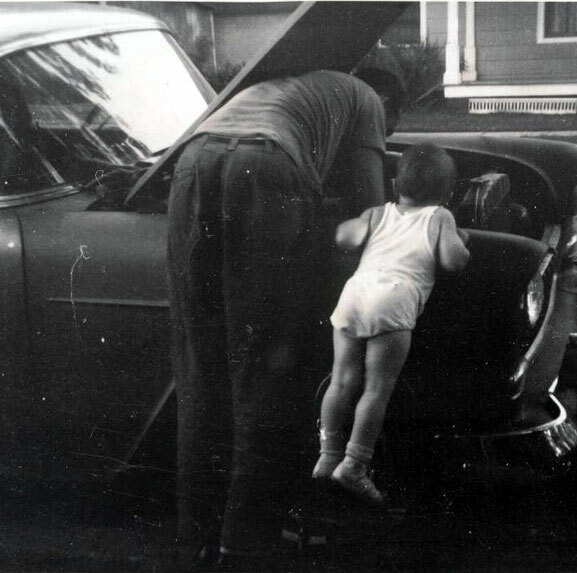 At age 15 I bought my first car, a ’37 Olds 2-door fastback, and soon painted it. 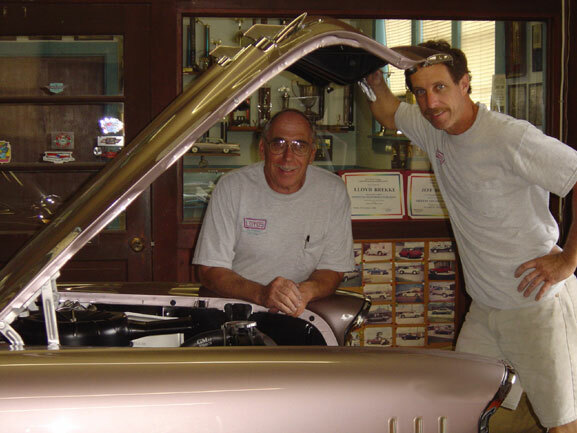 My first hotrod engine was a ’53 Merc swap in a ’40 Ford 2-door sedan which I built at age 16. At 18, while in the Air Force, I built a ’32 Ford pick up, chopped it 4″ and channeled it 6″, lowered the suspension and installed a Chevy small block in l957.Soon after that I began drag racing. After my Air Force discharge in l960, I went to work at a Chevrolet dealership for several years doing all types of mechanical work on cars and trucks. I prepped new cars and did some of my first serious paint work. Three months after I bought a new ’63 Sting Ray Coupe,I smoothed out the body work and put a show finish on it. In l967 I began working at Central Aviation as an FAA licensed Powerplant and Airframe Mechanic. I soon had an Inspection Authorization, and earned a Commercial,Instrument, and Multi-engine pilots license and became a Flight Instructor. In l970 I built a BD-4 Experimental airplane, which was a 4-seater powered by a fuel, injected turbocharged Lycoming engine. It flew at 225 mph top speed and had a service ceiling of 25,000 ft.
All this time I was still owning and working on old fun cars, such as another ’40 Ford and a few mid-50’s Chevys. Then in l976 I bought a real good ’57 Chevy BelAir hardtop in Los Angeles which we still own today. Early in l984 I started Lloyd’s Auto Restorations. 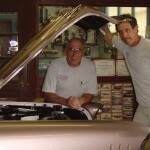 People wanted me to restore their cars to the quality of my ’57 Chevy. "An early start in 1964"
It wasn’t long before our son Jeff joined me in the business. We were striving for very straight body work, high quality paint work, and a high level of detail in all areas and systems. Over the years our goal has been to continue to improve quality, detail work, and utilize the finest products and materials as they arrive in the industry. We continue to attend Akzo Nobel Sikkens Training Center to improve our knowledge of new techniques and refinish products.